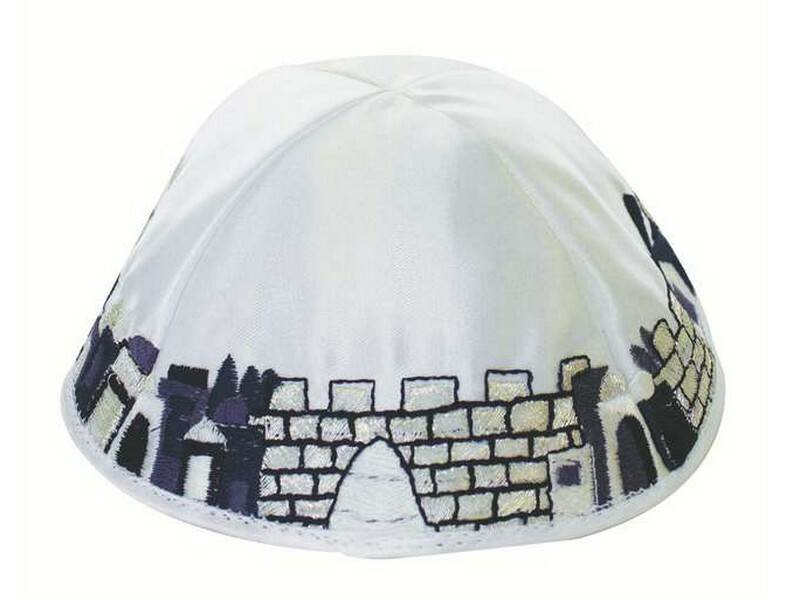 This white satin kippah is decorated with the famous Jerusalem skyline. Masterfully arranged, the skyline, which encircles the kippah, contains many of the iconic Jerusalem symbols, including the Walls of Jerusalem and arches. This kippah is perfect for all who want to show solidarity with the Holy City on their Jewish attire. This kippah is available in one standard size.Kippah has cotton lining. Made in Israel.